This is the first of a series of blogs on windows. I have been giving talks on windows aimed at both self builders and architects for some years now, and I thought it might be useful to condense some of this information into a series of blogs. Getting the window specification right is something both self builders and architects can struggle with, so my aim with these blogs is go through some fundamental technical background to help your understanding as well as trying to show how to get the very best value from the windows you choose. Of course if you would like to hear one of my talks, I give them regularly as part of our Open Days. When you first start thinking about windows, it can all seem very simple. They’re just glazed openings in walls, which you open to ventilate, and that seems about it. But when you really start to dig into it you realise that they’re actually one of the most complex of the building elements.. So, not only do windows let in daylight and sunlight and potentially give you ventilation , you’ve also got to think about a whole raft of other issues when designing and specifiying. Here are some of these. Windows play a very significant role in the aesthetics of a building and inevitably aesthetics will always be a key element in the specification of windows. With good reason windows have been described as the eyes of a building. We expect a lot from our windows, but at the very least we want them to have suitable thermal performance, retaining heat as well as letting in useful heat from the sun (more on this in a minute). We also want them to have a suitable level of weather and airtightness. A window that leaks air or water is the last thing we want. There can be other performance issues too. Acoustic performance where there is a lot of external noise can be very important. High noise levels within our homes and buildings are not only unpleasant, but can adversely affect our health. Fire resistance may also be an issue in some building designs. Windows and door openings have structural implications for any building. Obviously, they’re a hole in the fabric of the building, and the effect of this will depend on the build method, so a bit different for timber frame from masonry construction for example. But we need to consider whether we have adequate support from lintels, as well as the effect of large and structurally complex openings on the overall integrity of the fabric. This is bread and butter for architects, but those lovely big openings you have your heart set on will have structural (among other) implications, maybe adding to complexity and cost..
Price is always a key element in window specification and almost certainly you will be looking to achieve best value from your window specification. Of course best value is not at all the same as lowest cost, but on virtually all projects the budget is one of the sticks that drive us. . There has been a whole debate raging for years on the best materials to use for window frames. We’ll return to this in a future blog! We want our windows to last forever and never to have to do anything to them, but in reality we can’t expect this any more from windows than from our cars. Of course how long our windows will last, how much maintenance is required and how easily they can be repaired will depend on what they are made from. But I’ll come back to this in a later blog. The way a window looks, whether it has lots of divisions and opening sashes or is very simple is an aesthetic decision. But it is also a performance issue. As I will discuss in a later blog, when we choose more complex form we pay more and actually get less. It is stating the obvious, but we don’t want windows injuring people and we need to ensure the safety for occupants (especially children) inside the building. So, robust hardware, careful design and certified safety devices are all important. Windows and doors are one of the riskiest areas in terms of access to the building so we need to make sure they have adequate security. For new build in England, they must normally now have been tested to PAS24 to comply withh Part Q of the Building Regulations (requirements vary in Wales, Scotland and N Ireland). But even for retrofit most people want their windows and doors to be secure, so at a minimum should have PAS24 testing. Even better is the Police preferred Secured by Design standard. I will do a later blog on this, if I can keep up with the changing standards and legislation! In the end, it’s the way that these different elements connect together that makes windows so complicated. One example of this is thermal performance when we look at energy balance of windows, so I want to take a quick look at that now. Windows are obviously different to the rest of the opaque building fabric, because they let light and sunlight in. 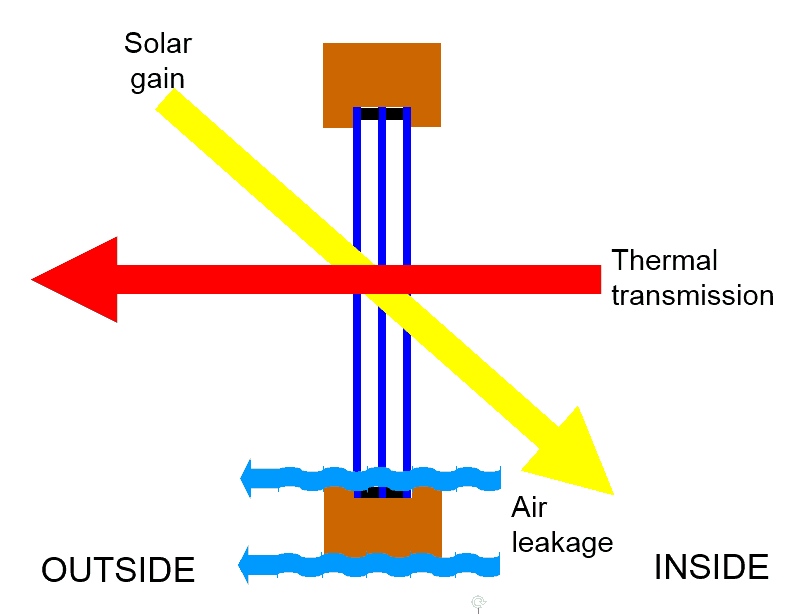 So., although there is thermal loss from the windows, there is also heat gain from the sun. In the summer we don’t always want that heat gain, so we need shading, but in the winter this is free ‘useful’ heat. In the winter this useful heat is coming in to balance out, to some extent, the heat going out through the window, so there’s overall an annual useful energy balance. Potentially air leakage can also be part of that energy balance, but on good quality windows there should be no effective leakage, and if they are well installed there should be no leakage there either. On older or poor quality windows though this can be an issue. The issue of air leakage from the installation is a very big one, and in my view most windows installed in the UK will not have a sufficiently airtight installation. In a well-built, well-insulated building, if you get more useful heat gained from the sun than you’re losing from heat transmission then, in effect, the windows have an overall positive balance. The windows are not resulting in net heat loss but actually in heat gain.. This is how windows are different – the opaque walls and building fabric will never do that. When specifiying windows, what we’re looking for is the optimal balance between useful solar gains and heat loss. Remember that windows are always the weakest element of the fabric in terms of heat loss. For example a Passivhaus would have very low wall U value of 0.1 W/m2K but even with the best Passivhaus windows you have a U value of around 0.8 W/m2K, so there is 8 times more heat loss through the window than you get from good performance building fabric. Nevertheless in a well-designed low energy building you should probably get a net gain by optimising the solar gain through them. 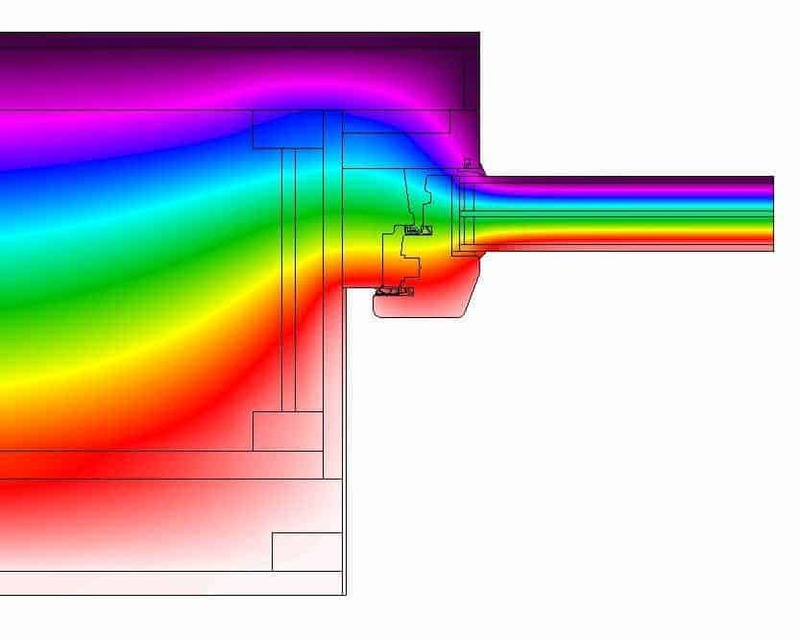 So..when specifiying and designing windows, it is very important to remember that you need to balance heat loss and heat gain. 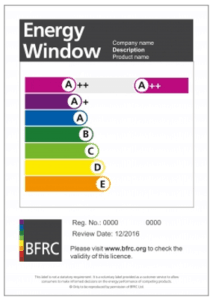 The window energy rating system rates windows from A++ to E, similar to the labels found on washing machines. The rating is calculated by taking a nominal building and looking at the energy balance and saying if it is negative or positive. If it is positive the rating can be an A or above, if it is negative it can be a B or below. Although it is not an accurate indicator of what the energy balance for your specific building is, it does give a general idea of what the total energy balance would be. What we find is that the better insulated and triple glazed windows generally give the better energy balance. 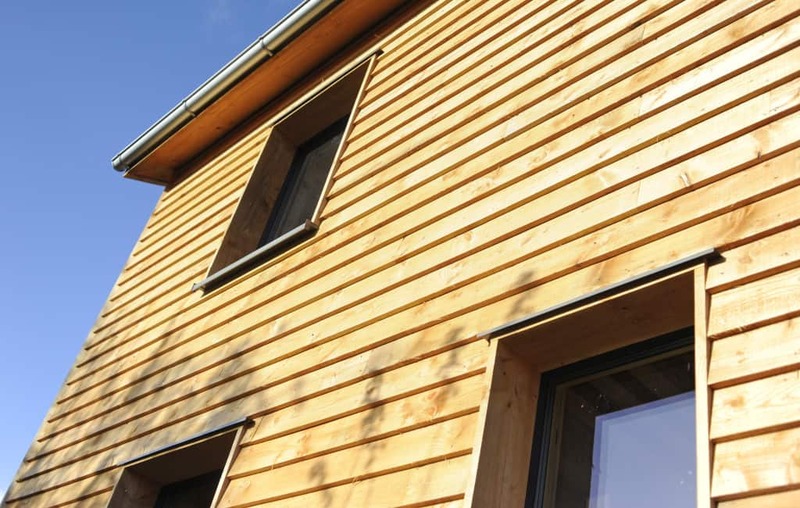 The Passivhaus methodology does accurately model the energy balance of your windows over the course of the year, as part of the complete modelling of the building. This makes it possible to design very accurately, optimising the energy balance of the window in your particular building and helping you choose the optimal window. Sign up to join Chris in a Webinar on High Performance Windows on 31 July 2018. All who sign up will receive a recording of the webinar afterwards. Green Building Store offers FREE technical support on windows/ doors for your low energy or Passivhaus building project.